We all love having beautiful, healthy trees on our property. The trees add a great deal of character to your home and landscape, and you are proud of what you have. There may come a time, however, where the trees start to encroach on other areas of your property or your home and pose a danger to your residence, property, and family. You may also find that trees get damaged from the weather, storms or pests and disease. In situations like this, you may need to have the tree removed from its location. To make sure you get proper tree removal in Encino, here are some basic tips you will want to follow. Anytime you are dealing with medium-sized or large trees, trying to remove them on your own can be very dangerous to you. Without the proper experience, you may not know how to take down a larger tree safely. This can put you at great risk and removal can potentially be life-threatening if it is not done the right way. You may have to contend with issues like the tree being close to power lines or close to your house and bringing it down incorrectly can cause serious damage. Unless it is a small tree that you think you can safely manage on your own, it is not worth the risks involved to try it yourself. 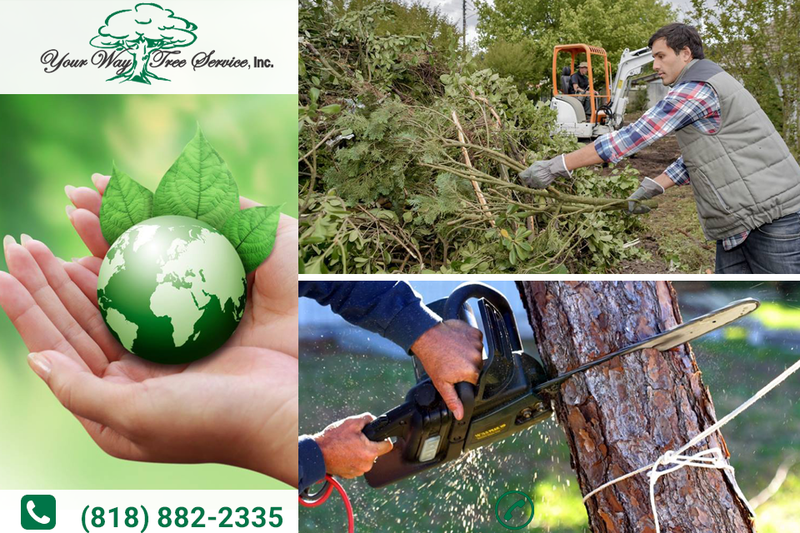 For proper tree removal in Encino, you are much better off turning to an expert service like ours here at Your Way Tree Service, Inc. We have vast experience in tree removal and are fully licensed, bonded and insured. We use only expert, experienced technicians on our jobs and make sure that each job is manned properly and has the best equipment and tools on hand to do the job well for you. Our insight and expertise allow us to know the best and safest ways to remove trees from your property. If you need any kind of tree removal in Encino, large or small, take the time to contact us at Your Way Tree Removal, Inc. You can call our office at 818-882-2335 to schedule an appointment so we can come to you, analyze the situation and provide you with the best options for removal. We will make sure your trees are removed with the greatest of care.